Las Vegas Hormone Doctor, Donald Tice, D.O. has over 30 years experience in practicing Osteopathic Medicine. Dr. Donald Tice of Las Vegas Metabolic and Hormonal Medicine, has a patient-centered practice and focuses on hormonal imbalance, nutritional deficiencies, neurotransmitter imbalance and co-morbid conditions associated with obesity. Donald Tice, D.O., creates customized treatment programs for his patients including the use of bioidentical hormone therapy to treat peri-menopausal, post menopausal, and male andropausal symptoms. Learn more about Dr. Donald Tice's experience with correcting hormonal imbalances in men & women. Learn more about the customized age management and aesthetic services offered by Dr. Donald Tice. Schedule your consultation today to learn more about bioidentical hormone therapy and how it can help you. Call Las Vegas Hormone Doctor, Donald Tice, D.O. at 800-775-4902 EXT. 137 to schedule your hormone consultation today. At Las Vegas Metabolic and Hormonal Medicine, Las Vegas Hormone Doctor, Dr. Donald Tice identifies and treats nutritional, metabolic, and hormonal disorders leading to obesity, diabetes, and cardiovascular disease. He also specializes in using bio-identical hormone replacement therapy to treat peri-menopausal, post menopausal, and male andropausal symptoms. Hormones play a crucial role in determining health and wellbeing, and for this reason, Las Vegas Metabolic and Hormonal Medicine was founded with the belief that both women and men should be fully educated when it comes to their hormonal health. Each member of the WellHealth team is devoted to providing patients who are facing metabolic and hormonal challenges with the information and treatments necessary to achieve a balanced body. A WellHealth patient receives a unique and individualized metabolic and hormonal health plan, along with the one-on-one assistance required to achieve a healthier and more productive lifestyle. With an emphasis on preventive care, Dr. Tice specializes in offering cohesive and comprehensive services needed to meet the body’s needs. Bioidentical hormones are hormones that are identical in structure and function to the ones made in the human body, and they are usually compounded from sources such as soy or wild yams. When the hormones are taken into the body, the body can recognize and more easily metabolize them. Because of their identical structure, they can reduce the risks of health threatening side effects. Bioidentical hormones are a vital part to Dr. Tice’s programs. Dr. Tice can tailor bioidentical hormone prescriptions to meet individual needs, and he can implement dietary, nutritional, and stress relieving elements into each program. 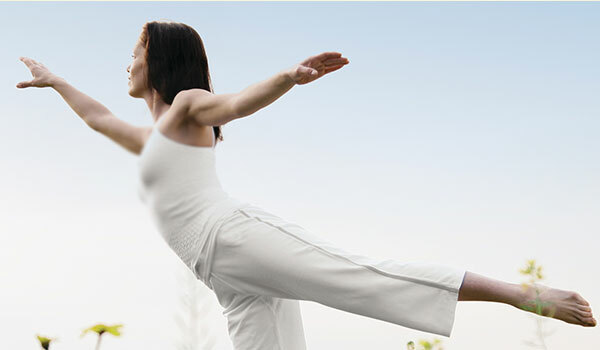 Dr. Tice feels that proper nutritional and hormonal balance has a positive effect on prevention of health problems. Patients that are suffering with the symptoms of hormonal imbalances can greatly benefit from Dr. Tice’s programs and bio-identical hormone replacement therapy. Please call Las Vegas Bioidentical Hormone, Doctor Donald Tice, D.O. of Las Vegas Metabolic and Hormonal Medicine directly at 800-775-4902 Ext. 137 to schedule your consultation, discuss your symptoms and decide on a course of treatment for your specific needs. Meet Bioidentical Doctor Donald Tice, D.O. © 2009-2019 Donald Tice, D.O. – Las Vegas Hormone Doctor. All Rights Reserved.